Gujarat University invited applications for recruitment to 37 Faculty posts. The candidates eligible for the post can apply through prescribed format on or before 10 September 2016. 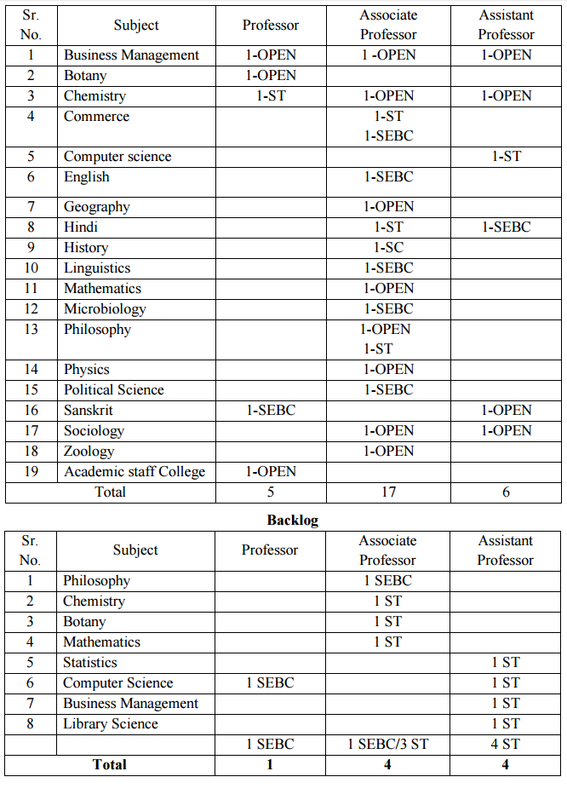 Eligibility for Assistant Professor Post: i) Good academic record as defined by the concerned university with at least 55% marks (or an equivalent grade in a point scale wherever grading system is followed) at the Master’s Degree level in a relevant subject from an Indian University, or an equivalent degree from an accredited foreign university. ii) Besides fulfilling the above qualifications, the candidate must have cleared the National Eligibility Test (NET) conducted by the UGC, CSIR or similar test accredited by the UGC like SLET/SET. iii) Notwithstanding anything contained in clause (i) or (ii) above, candidates, who are, or have been awarded a Ph. D. Degree in accordance with the University Grants Commission (Minimum Standards and Procedure for Award of Ph.D. Degree) Regulations, 2009, shall be exempted from the requirement of the minimum eligibility condition of NET/SLET/SET for the recruitment of appointment of Assistant Professor . iv) NET/SLET/SET shall also not be required for such Masters Programmes in disciplines for which NET is not conducted. Candidates are required to send duly filled application form along with application fees (Rs 500) to the Registrar, Gujarat University, Ahmedabad.